December 28–The Sacred: Trust | Words of Wisdom? We have said, in this space, that “the sacred” is in so many words something we place high value on, something that is precious. We have also examined it as not something other and separate from the ordinary but actually a quality found in the ordinariness and natural states of life and relationships. In some respects, I wonder if what we mean by “the sacred” is not very much akin to “trust.” We do not use the word “sacred” in our Unitarian Universalist Principles, nor do we use the word “trust.” I find them both deeply at stake, however in our principles. Consider. To find the inherent worth and dignity in every person trusts that such dignity really can be found there in EVERY person. Justice, equity and compassion in human relations–given the way that people, especially people in leadership–are treating other people these days requires a trust that goes well beyond what we see in the media every day or what comes streaming across our social media. Acceptance of one another implicitly requires trust, and to encourage one another in our congregations toward spiritual growth even more so. Allowing that everyone has the freedom to search responsibly for truth and meaning requires a trust particularly when we show up in front of each other finding, exploring and sharing truth and with a freedom that looks so different from our own. I must trust that you are conducting your search in truth and that you are using your freedom responsibly especially when I disagree with you and until you may prove otherwise. Nothing, perhaps, immediately tests my trust than a congregational meeting or town hall meeting in which we practice the democratic process. Public models of shouting down the opponent, or social media models of saying vile things to those who disagree with us are not examples of democracy or trust. They are examples of bullying and cruelty–no trust required. 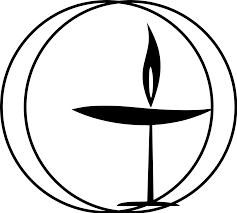 Non Unitarian Universalists may make light of our vision of a world community of peace, liberty and justice for all as idealism and being out of touch with reality. What is clear to me is that where there is no trust, there is no community at all, much less world community. Perhaps the principle that demands the most trust is the last–holding a respect for the interdependent web of all existence of which we are all a part. We live in a time and in a culture that demands the individual’s right to do and say anything he/she may want with little understanding at all for the common good and the way we affect each other in both intentional and unintentional ways. Trust is at the core of Unitarian Universalism. Trust is at the core of our covenant at the Unitarian Universalist Congregation of Gwinnett. Spelled out as such or not, this basic trust which we must tend and practice in order for these principles to make a difference in the world is our most sacred value. Perhaps we ought to name it more often. This entry was posted in The Sacred and tagged UU 1st Principle, UU 2nd Principle, UU 3rd Principle, UU 4th Principle, UU 5th Principle, UU 6th Principle, UU 7th Principle. Bookmark the permalink. Love, love, love the words today!